Billionaire hedge fund manager John Paulson's success in ousting the bulk of Detour Gold Corp's board could serve as a "template" for an expected increase in shareholder activism in the gold sector, institutional investors said on Thursday. 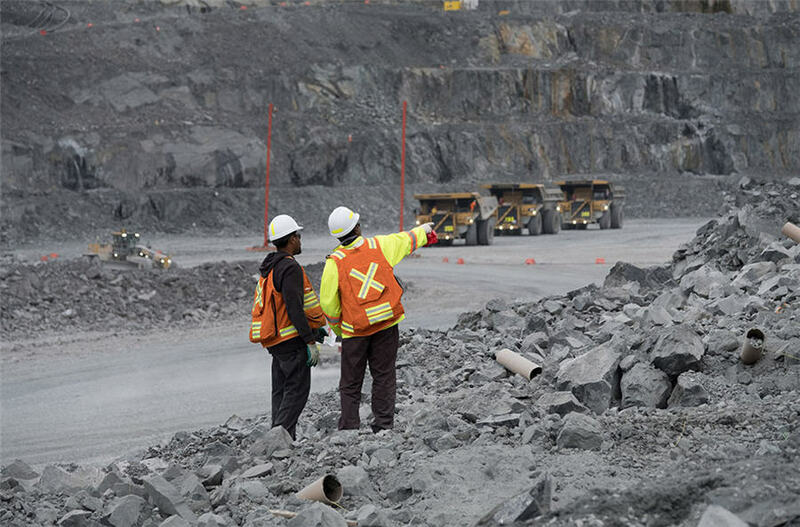 The Canadian mining company's shareholders voted for five board nominees backed by Paulson & Co at a special meeting on Thursday, and Detour's interim chief executive officer and the chairman were not re-elected to the nine-member board. Paulson's campaign could have implications across the sector, where activism is historically low, returns have been disappointing, compensation is above-average and insider ownership is below-average, Desjardins Group analysts wrote in a note. "Other companies in the space have to take note, because they could become a target"
"You want to look at situations like this and use them as a template," said David Neuhauser, founder of U.S. hedge fund Livermore Partners who sees growing activism as "highly probable". Livermore, which backed Paulson's slate, has about 10 percent of its investments in gold and could double that in the next year, Neuhauser said. It has under $100 million of assets under management. The hedge fund is also a member of the Shareholders' Gold Council, formed by Paulson this year for institutional investors looking to work with management to improve returns. Paulson, which has a 5.7 percent stake in Detour, had pushed for a complete change of the board and the resignation of interim CEO Michael Kenyon, saying that under his leadership the company had "unsuccessfully tried to boost short-term performance" and run up accounts payable to exaggerate cash flows. Kenyon stepped down on Thursday. Newly-elected Chairman James Gowans said he looked forward to working with the board to recruit a new CEO. Detour shareholders voted to keep the size of the board at nine, while Paulson was backing an eight member board consisting of its candidates. The often caustic proxy fight between Detour and Paulson, which began in June, may encourage companies and boards to pro-actively make changes, said Doug Groh, co-manager of Tocqueville Gold Fund. "Other companies in the space have to take note, because they could become a target," Groh said. Coast Capital Management partner James Ratesh it would take time for increased activism to play out. Ratesh's New York fund, which voted for a "dramatic change" at Detour, studied the sector for three years before picking investments. Today, gold represents over 25 percent of its portfolio. "You have to put a lot of effort and resources to be an effective activist in the space. We've done that," Ratesh said.